Tag Archives for " Gravity Filter "
Are you looking for a gravity type water filter that works well but won't cost you an arm and a leg? If you are, then you need to check out the Alexapure Pro water filtration system. Did you ever meet an amazing person and you thought "Gee, they must come from a great family"? And then you meet the family, and it turns out you were right! 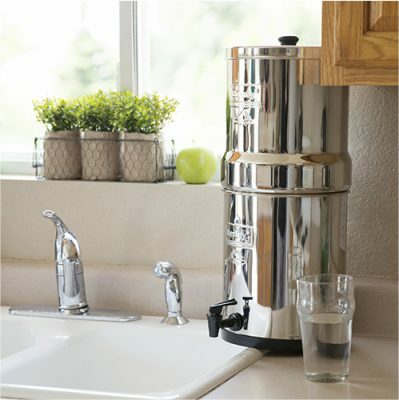 What's holding you back from buying a Berkey filter? Is it the price? If that's all it is, I've got good news for you! Berkey or Propur? Propur or Berkey? If you're thinking about buying a gravity water filter, there's a good chance you've narrowed your choices down to these two brands. They look similar and they cost about the same, but there are some differences that you'll want to know about.